Spencer (Barry Keoghan) is determined to become an artist but feels he lacks the essential ingredient that unites all great artists – suffering. His closest friend, Warren (Evan Peters), has also been raised to believe that his life will be special, and that he will be unique in some way. However, as they leave the suburbs for universities in the same town, the realities of adult life begin to dawn on them and, with that, the realization that their lives may in fact never be important or special in any way. Determined to live lives that are out of the ordinary, they plan the brazen theft of some of the world’s most valuable books from the special collections room of Spencer's college Library. Enlisting two more friends, accounting major Eric (Jared Abrahamson) and fitness fanatic Chas (Blake Jenner), and taking their cues from heist movies, the gang meticulously plots the theft and subsequent fence of the stolen artworks. American Animals tells the unbelievable but absolutely true story of an audacious art heist. This is a gripping and suspenseful tale about a crime so ludicrous and so ill judged that it should be laughable. And, indeed, it would be if this story didn’t have such a disturbing heart. Like Touching The Void, American Animals employs an insightful and entertaining narrative structure - combining dramatisation with to-camera interviews featuring the real life people involved. Thanks to brilliant performances from the film’s cast (Keough and Peters are particularly good), the cuts from drama to documentary are smooth and perfectly balanced. They also allow director, Bart Layton, to explore the challenges in finding the truth in any story. What actually happened? Does anyone really know? How can we arrive at the facts when those involved cannot remember the path that took them from an idea (inspired by boredom and frustration) to the theft of some of the world’s most valuable books? As a result, the lead-up to the heist is just as interesting as the robbery itself. Just how did a a fantasy cooked up by two disaffected young men desperate to live an extraordinary life (but not willing to put in the work to achieve this aim), spiral into such darkness? Like in his previous film, The Imposter, Layton uses the story behind American Animals to explore and question wider issues. It is a fascinating ride. What makes these privileged young American men feel so disillusioned with their lives? What do their actions say about society? Nothing good, that is for sure. Despite being gripped as the events unfold, we are not encouraged to root for or even like Spencer, Warren, Chas or Eric. Indeed, the only person we really feel sympathy for is librarian, Betty Jean 'BJ' Gooch (played by the wonderful Ann Dowd). Gooch could be viewed as the victim in this story. While the group did not wish to hurt her (they appear to feel genuine remorse for what happened), she was subjected to a trully horrendous experience. To its credit, American Animals does not shy away from depicting her ordeal. There are real consequences here - for everyone. However, Gooch actually emerges as the strongest, most insightful character in the film. She is the only person to see the event (and the boys behind it) for what it truly is - not an exciting art heist adventure but the sad story of four pathetic young men and their misguided attempt to feel special. If you enjoyed American Animals (and even if you didn't) I would also recommend Bart Layton's previous documentary film, The Imposter. 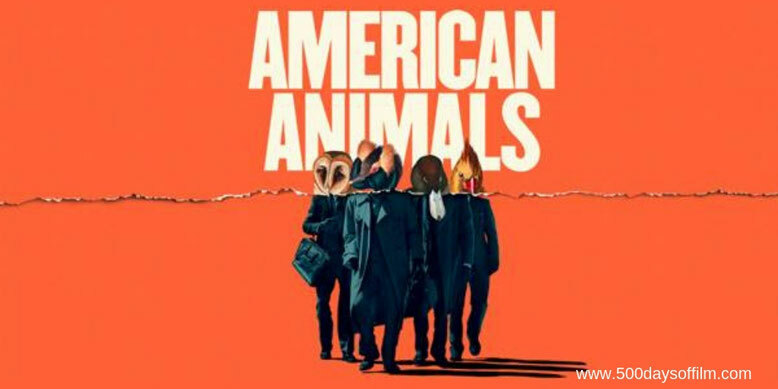 Have you seen American Animals?